The global organisation UNICEF has called for more assistive technologies to support children with disabilities across central and eastern Europe. Hopes are placed on technology to turn classrooms more accessible and inclusive for all members of society. According to a statement that the organization made last Thursday, as many as 75% of disabled children in the region currently don’t have access to effective education. This means that millions of children who have a disability currently cannot fully access their fundamental right to education. “Today, UNICEF is calling for investments in quality availability and affordability of assistive technologies, as these products have the potential to drastically increase the number of children with disabilities accessing their fundamental right to education,” said UNICEF Regional Director for Europe and Central Asia, Afshan Khan. The hurdles that children with disabilities face when entering school systems around the continent persist, says NGO Human Rights Watch. Findings of a recent report suggest that although all 27 EU members states have committed to the United Nations Convention on the Rights of Persons with Disabilities (CRPD), which guarantees the right to inclusive education, children with disabilities often changed schools or were not provided with the adequate support to get through the education system successfully. The CRPD programme is in place to ensure that children with disabilities are provided with assistance, different teaching methods and materials in order to ensure their learning is optimised. 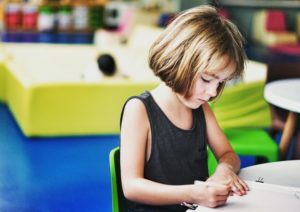 Assistive technology also comes under this legislation, yet despite this in some cases, parents still felt pressure to move their child to another school. All 27 EU members states have committed the UN Convention on the Rights of Persons with Disabilities (CRPD). Yet in practice, barriers persist. Assistive technologies usually come in the form of devices or equipment that enhances the learning environment to cater to disabilities. The advancement of technology has been a major benefit for education systems by making learning more accessible. Assistive technologies remove barriers for people with disabilities or simply students that need a little more help. In education, tools can vary from electronic worksheets, instruments, software and talking calculators to recorded social skills geared at supporting children with autism. And for many, these form technologies play a crucial role to determine whether they complete the school system or not. However, assistive technologies are not equally accessible across the globe. Barriers may come from lack of funding to even restrictions in the technology itself, as for example, many languages are simply unavailable. As a result, some regions of the world are yet to be level with the most advanced countries supporting assistive technology. For instance, a study by the European Parliament recently detailed that in Hungary, assistive technology tends to be linked to NGOs. Meanwhile, in Portugal, there is almost no governmental funding towards the purchase of assistive technology – meaning parents are expected to cover the cost of any technology. On the other hand, according to the report, Germany and Sweden came out the top. Both countries spare no expense for the necessary technology, and purchases are based on individual needs. It was only in 2015 that UNICEF held its first ever Assistive Products for Children with Disabilities (APCD) forum in Copenhagen. The event saw affected stakeholders, educational staff and entrepreneurs gather to shed light on what assistive technologies were available on the market. Since then, the assistive technology industry has grown substantially and many new innovations have sprung up in the market. Just last week on 7-8 March, a conference in Geneva specifically geared at displaying the best assistive technology for education went on show. Among the pioneering and life-changing support systems, Swiss-based Active Communication provides adapted tablets and electronic communication tools which children can utilise as part of their learning. Another example, ProsFit, uses digital technology to enhance the fitting of prosthetic limbs on patients which in many cases leads to improvements in their learning as a result. A different approach is taken by SIMO – the Autism Simulator, providing a virtual reality opportunity for people to experience life with autism. Geared at creating more tolerance, education and understanding for others around them, it is a headset which can be used in schools, families and workplaces to better understand what autism is and how it affects daily life. Displayed to people from Europe and beyond, these are just some examples of how technology can make classrooms more inclusive. At the moment, there are over 93 million under-15-year-olds across the world that are living with disabilities. From lesser developed regions and to the richer parts of the world, this often translates into direct obstacles for a child’s education and ultimately its future. Technology events such as the one in Geneva last week are geared at raising awareness and help to spur innovations in the relatively young sector. However, more needs to be done on the part of governments to ensure that laws that guarantee the right to education are in place and implemented. And even in Europe, more countries need to follow the lead of Germany and Sweden to make sure no child is left behind in education.